The second in an occasional series. Anybody else remember a 1980s Army recruitment advert which showed young men jumping out of planes and into jeeps and completely failed to mention that you might have to actually kill people at some stage in your Army career? Well, that was the inspiration for this series on 'How a botanist gets to work'. So if you abseil or canoe to your botanical work and then spend 5 hours on hands and knees peering through your handlens, guess which photo I'd like to see? 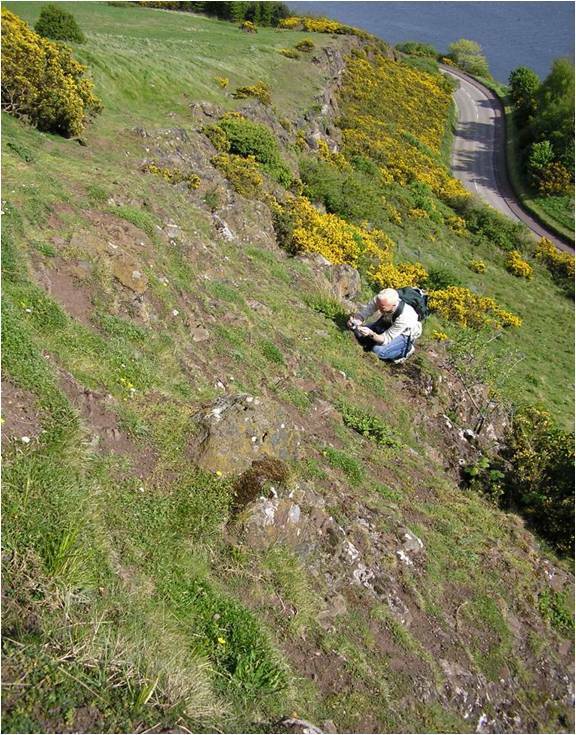 The photograph on the right shows how Jim McIntosh's colleague gets to work up on Salisbury Crags/Arthur's Seat in Edinburgh. Jim holds a meeting here on Arthur's Seat most years in May, particularly aimed at beginners and those new to BSBI. Well worth going to! 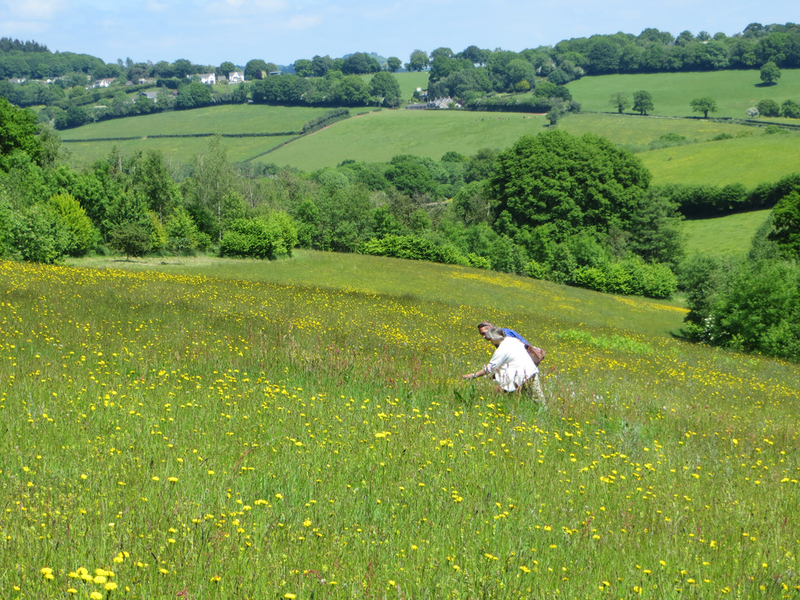 Details of all BSBI field meetings, including those where beginners are especially welcomed and supported, can be found in our Field Meetings Diary here. And the image on the left shows how Paul Smith and Richard Pankhurst were able to reach the floriferous isle of Gaskeir (off the coast of Lewis) last summer. Botanists and boatmen may seem like strange bedfellows, but how else is a botanist to reach those remoter islands? Kayak? Now that's a photo I'd like to see, kayaking botanist with vasculum and handlens... anybody? Send any good images to me at publicity@bsbi.org.uk please! How does a botanist "get to work" (part one)? Get involved in botany, they said, it will be fun, they said. This was very steep! Viola reichenbachiana and V.riviniana Hybridise? Lots, the gardening trend we just can’t get enough of. Interview on BBC Radio Derby – Wild flowers, folklore and their uses!